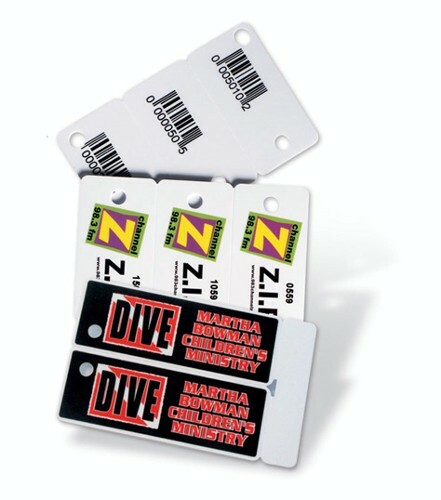 These compact key tags keep membership numbers handy and are great for "frequent customer" programs. Various tracking methods can be added including numbers and bar codes. * KeyTag Size: 2-1/8" X 1-1/8"